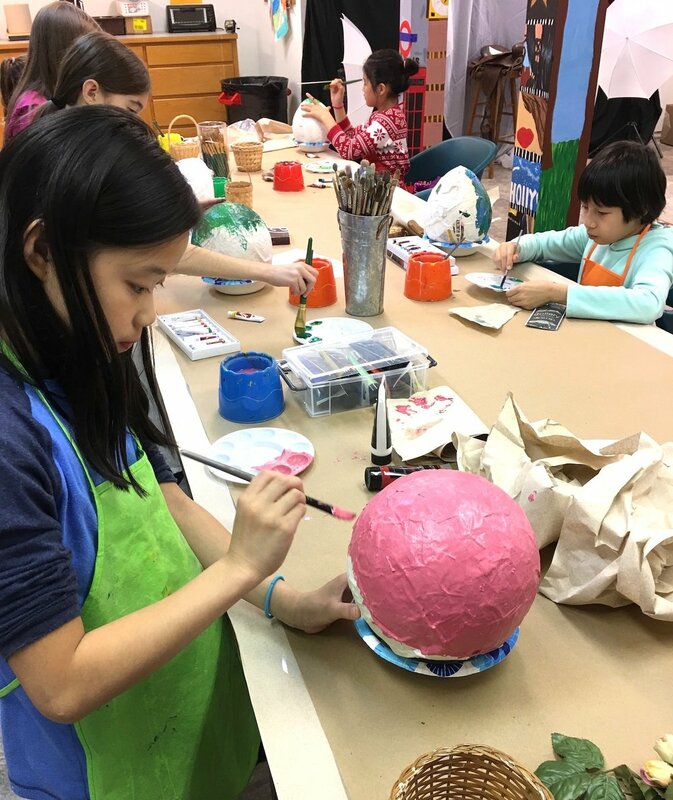 In Charlene Collins Freeman’s art class for 9 - 12 year olds they created paper mache hot air balloons. And it was a blast! 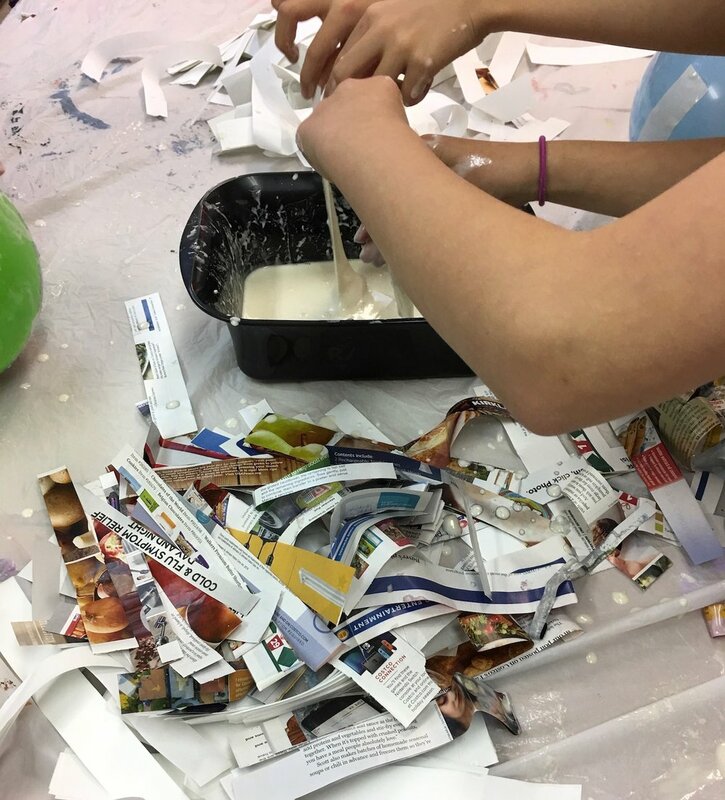 To prepare for the class Charlene blew a balloon for each young artist and cut A LOT of newspaper into strips. 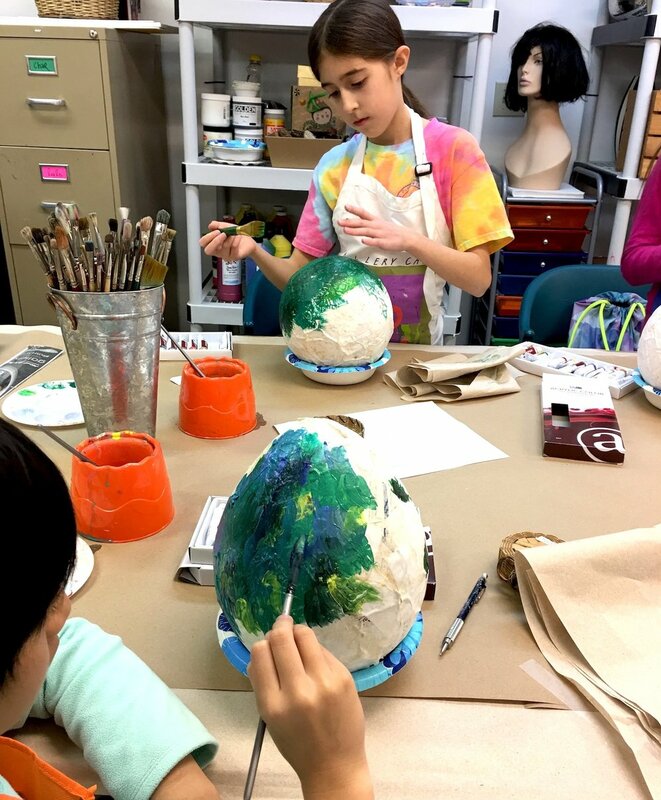 When the young artists arrived, everyone put on aprons and mixed the paper mache glue together. The recipe used was 1 1/2 cups of flour for every cup of water. They mixed until they had a thick glue-like consistency and got rid of all the lumps. 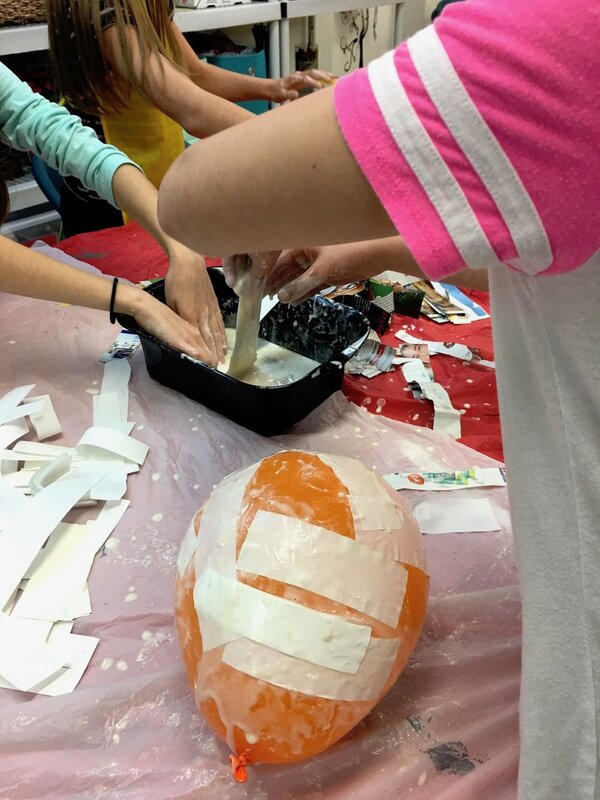 The kids then soaked the newspaper strips in the paper mache glue and squeezed excess glue off before using it to cover their balloon. Everyone had to cover their entire balloon with three to four layers of newspaper strips. They then let them dry. The next week, the balloons were ready for paint. Before diving in the girls did sketches to consider different color schemes and themes. They considered the ribbons and yarns and embellishments they could use. Once they had decided on a final design, they were ready to paint. 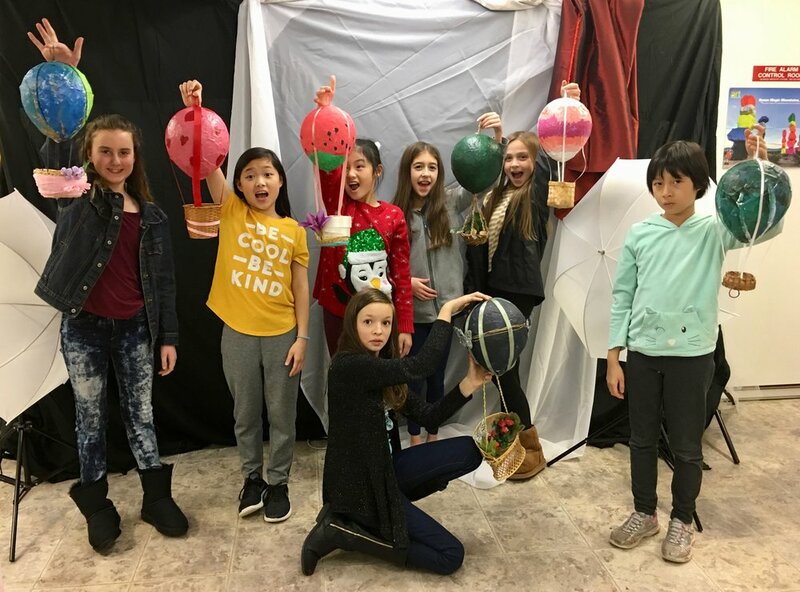 The next week, they pulled it all together, adding the baskets with ribbons or yarn, adding butterflies and silk flowers and leaves. They did a great job and we had a lot of fun. Up, up & away! To the next art adventure!